It’s 8 am and the eastern wind blows through the deserted high street of Rock Ferry. I haven’t spotted any tumbleweed yet, but with the gathering winter wind, yet to reach full potential; it’s surely just around the corner. I seek shelter and the public house is the preferred choice. Approaching the entrance, I remove my gloves and attempt to open the doors. They’re locked and the elderly man to my right, who on first impressions appears very bitter towards life, mutters words I cannot understand, but I don’t ask him to repeat what he said. A member of staff then approaches, and as she opens the double wooden doors, says in a familiar tone, “morning John”, this could be Groundhog Day for both of them. 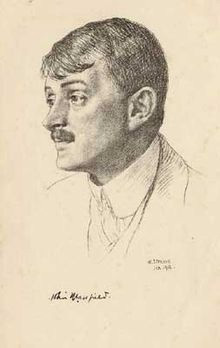 The title of the public house, ‘The John Masefield’, a poet laureate from 1930 to his death in 1967, seems inappropriate, as no one speaks except to ask for tea and coffee. I notice John wandering and gathering deliberately, three barstools and then sitting in his usual place I presume. He then reaches into his bag and takes out a 1980s style, white alarm clock with three green luminous hands and an alarm button on top, retro in these modern times. John places the clock onto the table and doesn’t move for the duration of my time there. When I return for my second cup John sits statuesque and muted. I wonder what he is waiting for. He has ordered nothing, yet, and the familiar greeting he initially received, were the only two words spoken to him. John’s tattooed hands invoke a life led when men wanted a souvenir of their service for their country and his thin greying hair and wrinkled face, portray a man who has lived and, although john’s story remains unspoken today, he must have one to convey. I finish my second cup and prepare for the wintery chill, noticing my cap won’t protect me, and wishing I’d worn a scarf. Ready to depart, I glance at John, still sitting on his stool with the retro clock still ticking away. 8.35am and I wonder if he’s waiting for a certain time to order his first pint, counting down the minutes so his life feels normal again, Groundhog Day continues. I pause one last time and wonder if I should have a brief conversation with him. But I don’t, and brace the cold morning with the same lack of information about John since our initial greeting at 8am. ← How can you hug a spirit?